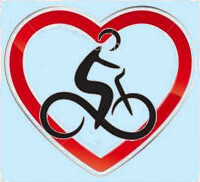 ﻿ Biking Vacations in Provence| Self Guided| GPS| France. 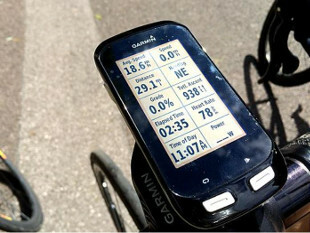 THE GARMIN GPS SYSTEMS AT OUR B&B BASED PROVENCE BIKE TOURS. Clear guidance: Detailed colour maps that move, turn & reorient themselves automatically - you just follow the clear route line. And for your peace of mind, you are always shown the distance to the next turn in meters and Kms, and it counts down accurately. Easy to interpret turn directions: At 200m before each junction there's an audio warning & the GPS switches automatically to a clear bespoke turn screen. This screen shows the distance, and the number of seconds to the turn, both with a count down. Stop when you want to, not because you're lost! 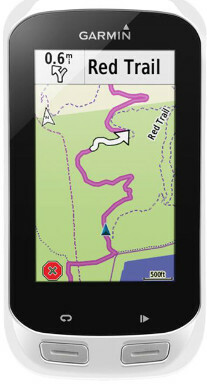 : With the GPS there's no more stopping at every junction to figure out where you are on a paper map. But when you do want to take to stop; for a photo, for a drink or a meal, a simple press of a button is enough to pause your route and another to get you going again. Stress-free cycling: No getting lost in a place you don't know, no having to ask for directions in your best French. Travel light: Leave all the maps at home. 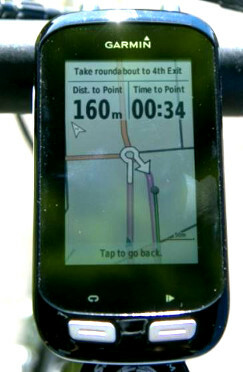 All we weigh you down with is your GPS and your route notes (best cafes, favourite vineyards, things to do, etc). Time: Ride time & Time of day. Climbing: Metres climbed during your ride. Navigation: Both distance & ETA to destination. Distance to the next turn. Note the Garmin GPS fixes solidly onto your bike's handlebars, and comes off easily for when you're visiting on foot. "We were a rather senior group of experienced road bikers with me at 80 the oldest and the youngest somewhere in her 40's. Neil supplied all of us with Garmin GPSs and sent out on our own each morning. We did just fine, nobody got lost"
Bonnie & Andy - US - Oct 18 - Provence bike tours review. "Neil and Natalene are very tech savvy and have programmed all the routes into GPS units which mount on your handle bars, it’s almost impossible to get lost. If you make a wrong turn, the GPS beeps and politely tells you how to get back on track, no need to fumble with maps or argue over directions. We dubbed it cycling for dummies." Lynn & Blair - Canada - Feb 17 - Provence bike tours review. "There is no better way to sightsee a beautiful area than on a bicycle seat, and it's nice when all the routes and planning are so well laid out and easy to negotiate with GPS units. " 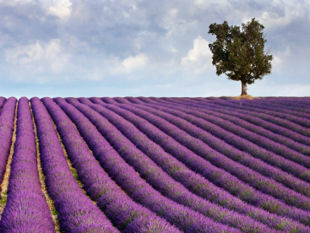 Hugh - US - June 16 - Provence bike tours review. "Owner Neil Cowell provided very nice bikes and a careful orientation to the use of the GPS devices that guide you along routes. " Meganne - US - May 15 - Provence bike tours review. "The amazing part is that it all actually works as designed. It is nearly impossible to get lost, and that is a very high bar for me to say that." Eric - US - Oct 14 - Provence bike tours review. "If you haven't used GPS before this will transform your cycling vacation. As well as the rides that exist on the computer, Neil will create a tailor-made one for you in 5 minutes." Nigel - UK - Oct 13 - Provence bike tours review. Courtney - US - Sept 12 - Provence bike tours review. 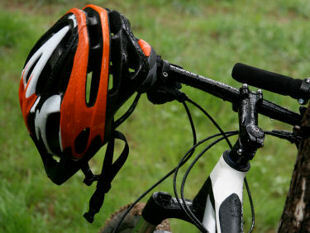 "Compared to other biking options, the GPS, combined with Neil's knowledge of the area made it stress free and allowed us to really enjoy our daily biking adventures. A trip we will always remember and recommend to others." Maryann - New Zealand - Aug 12 - Provence bike tours review. Stephen - US - Sept 11 - Provence bike tours review. Patrick - UK - June 2010 - Provence bike tours review. Dana - US - June 2010 - Provence bike tours review.